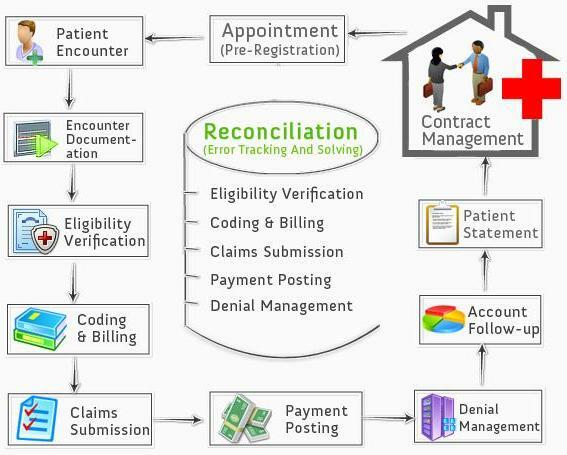 If your practice is increasingly focused on resolving billing issues, leaving less time to dedicate to patients, our Revenue Cycle Services are guaranteed to increase your revenue by providing the billing and collection support that will allow you to get paid on the first submission. This will not only increase collections, reduce days in accounts receivable and reduce denials, but will make your practice more efficient and effective. By contracting with AW Practice management associates, you will also reduce the expenses required to operate an internal billing department and the operational issues associated with staff turnover, vacations and absences. The services provided are customized to fit the needs of your Practice. Revenue Cycle driven assessments​ and much more! Aged A/R per Month: This is an aged trial balance that separates the A/R by “aging buckets,” (i.e., 0-30 days, 30-60 days, etc.). It should be the organization's aim to maximize the first bucket and minimize anything above 60 days. Gross and Net Collection Rates (by month): This is the money collected based on the charge for the service or the collectible revenue respectively. This is dependent on the payer mix and charge structure and is generally meaningful for a trend analysis. Net collection rates should always be towards 100%. Total A/R and Days in A/R: This is the number of days required to collect the charges submitted to payers. This is again dependent on the charge structures, presence of electronic submission, etc. However, above 90 days definitely indicates a need for improvement.